Amritsar: The Shiromani Gurudwara Prabandhak Committee (SGPC) has stated that it may approach newly elected Indian president Ramnath Kovind on the issue of Sikh manuscripts and other documents that were looted by the CBI and Indian Army during the invasion of Darbar Sahib complex in June 1984. Last month in a RTI query filed by patiala MP Dharamvir Gandhi in this regard the union government outrightly declined of having any of the said item in its possession, notes The Tribune (TT). “Ram Nath Kovind’s predecessor Pranab Mukherjee had initiated a move to trace the lost material. We will pursue the matter afresh,” he further adds. 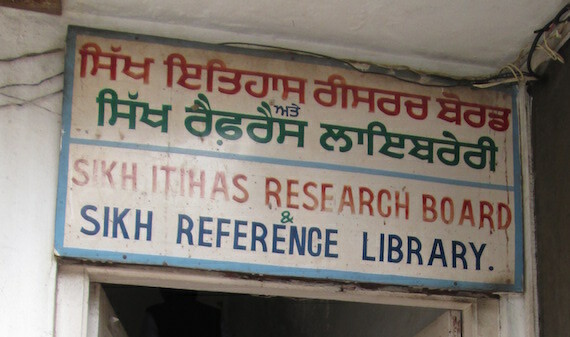 “We still have a huge collection of books, magazines, newspapers and periodicals on Sikh religion and history, besides 600 handwritten ‘saroops’ (Guru Granth Sahib) and other rare manuscripts,” Kirpal Singh Badungar further said.